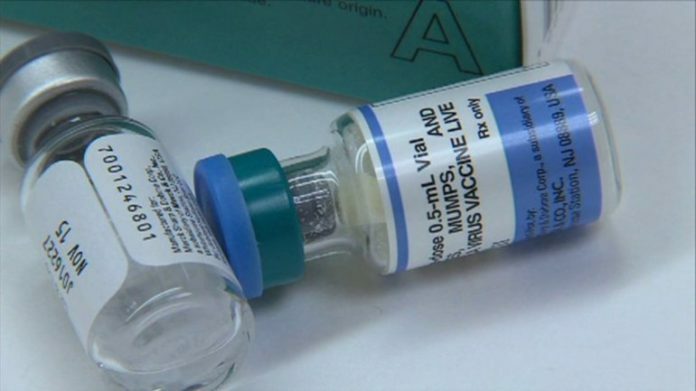 Cedar Hill High School will host their third vaccination clinic since February 9. CEDAR HILL—This week Dallas County health officials announced another increase in the number of Mumps cases at Cedar Hill High School. According to DCHHS, since the initial outbreak on February 9, there have been 49 cases reported between students and teachers. That is a drastic increase since the last reported update of 28 cases, as students prepared for the Spring Break holiday. Cedar Hill Independent School District borders Ellis County as well, County Spokesperson Renae Crutchfield, did note not all cases are Dallas County residents. To date, there have been 63 mumps cases in Dallas County. DCHHS has also identified 14 unrelated mumps cases in Mesquite, Dallas and neighboring DeSoto. Cedar Hill ISD Director of Communication Jamie Brown urges calm. He says that the statement from the county health department could easily confuse Cedar Hill residents. Although the statistics are finally leaning in a positive direction for CHISD, Brown assures parents that the district has not relented in its efforts to combat the illness. “We are continuing to be vigilant with cleaning and communicating to students about the importance of hand-washing and proper hygiene,” said Brown. Strict cleaning efforts have been in place since February 9, when the district was first informed of the outbreak from DCHHS. “We had our cleaning staff do an extensive cleaning of the campus that night,” said Brown. Furthermore, additional janitorial staff members came in over the weekend to deep clean in an effort to stop the spread of the disease. Since the mumps onslaught the district and DCHHS have partnered to host a number of clinics on the high school campus. The Centers For Disease Control recommends a third dose, only when an individual has exposure to an ongoing outbreak. “Since February, we have hosted three booster shot clinics at the high school. Two additional for students who come from the Ninth Grade Center to attend classes or activities,” said Brown. DCHHS Health officials are urging immunization to protect against and prevent the spread of mumps. People with two rounds of mumps vaccinations (such as two MMR vaccines) are usually immune from mumps. Currently Cedar Hill officials are awaiting confirmation from DCHHS on a third round of vaccinations at the Ninth Grade Center. Mumps is a highly contagious viral disease that spreads by droplets of saliva or mucus from the mouth, nose or throat of an infected person, usually when the person coughs, sneezes or talks. Items used by a person suffering from the mumps, such as cups or soft drink cans, could carry the virus, which may spread to others. 2. Stay at home for five days after symptoms begin. 3. Cover your mouth and nose when you cough or sneeze.